Create your site from scratch with Storeshock. Building a website doesn't need to be daunting. Storeshock lets you create a masterpiece without years of programming experience. 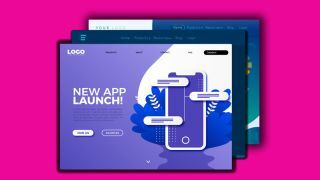 A lifetime subscription to this website builder typically retails for $499, but it's currently on sale at 88% off for just $59. If you need to build a website for your company, your hobby or just for fun, Storeshock is the perfect solution. It comes equipped with a vast selection of Wordpress themes, plugins, web elements and web packages. These premium products worth over $50,000, but they're at your fingertips forever for that one time low price. Make whatever website you need from scratch, without any prior programming knowledge. Just take advantage of Storeshock's simple drag-and-drop page builders and turn your dream website into a reality. Use the templates, and let built-in colour filters and overlay options give your site more pizazz. Ready to start building your own websites? Grab your lifetime subscription to Storeshock WordPress Themes & Elements for just $59 here.